The concerns over the safety of hydroquinone use in skin lightening products has continued to grow. Countries in Europe have banned the sale of products without a doctors prescription, whilst the USA has banned products which used to have high levels of hydroquinone. Now following the Ivory Coast ban in 2015, the latest country to join the list of concerned parties is Ghana. With a ban originally proposed in January this year, the Ghanian Food & Drugs Authority is now putting that ban into place. 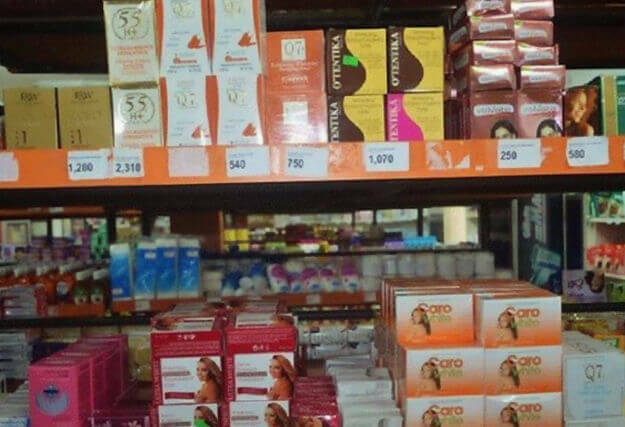 Both the import and sale of skin whitening products which include hydroquinone is now banned. And that the FDA would be working with vendors of cosmetic products to make sure that those products are no longer available to the buying public. She also put out the warning that they will be laboratory testing skin lightening products from now on to ensure that nobody is tempted to try and hide the ingredient in their products. Whilst the ban has caused concern amongst consumers, they should be reassured that health is the primary concern and that alternatives are available. You can get skin whitening creams without hydroquinone. These use more natural ingredients that have been shown to be just as effective, with either very limited or no known side effects at all. Hydroquinone has been known about since the 1820’s, and used in skincare products as a lightening agent since the 1980’s. The USA FDA has however said that the ingredient “cannot be ruled out as a potential carcinogen”. Which is why seeking out alternatives is now recommended.